The main focus of a medical practice is to maintain the health and well being of the patients. However, it is important to remember that the practice is still a business. Profitability is the key to surviving, let alone thriving. It can be extremely difficult to cut down on overhead and other necessary expenses in order to achieve higher profits. As a whole, the medical industry simply cannot afford to sacrifice quality patient care in order to save money. Instead, principals must turn to other payment saving methods to achieve a better bottom line. One way to accomplish this is to increase the cash flow. It is actually easier to do then some office managers may think. So without further ado, here are three ways to receive faster payments from patients. Patients have become accustomed to paying the majority of their bills online. Paper checks will be as extinct as the dinosaurs in the near future. People expect the same level of convenience when conducting their medical bill transactions. When a medical practice has the ability to accept payments online, it is important for two reasons. First, it keeps the patients happy. In order to retain patients it is necessary to make things as easy as possible for them. The little things add up quickly. The second reason, that it is necessary to accept payments online, is due to cash flow. Patients pay their bills a lot faster if they have the option to do so online. In fact, it can reduce the payment cycle down from weeks or even months into days. Faster payments significantly reduce the need for loans, and credit lines that may otherwise be needed to pay payroll and other bills. 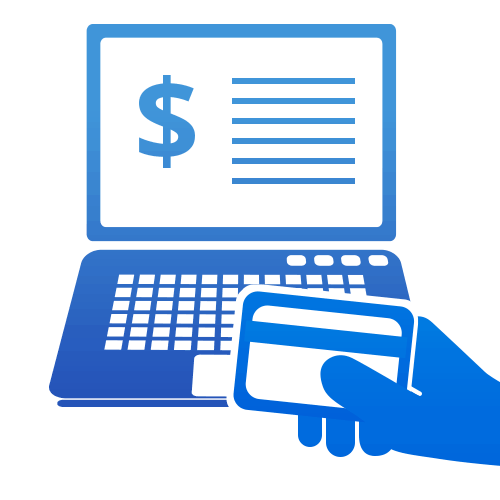 The most widely used method of online payments is through credit and debit cards. The overall best way to accept credit card payments online is to apply for a merchant account. Payment Savvy specializes in working with the medical industry, which makes it significantly easier to get started. The front desk is an integral piece of the medical office/patient interaction puzzle. It is the first place that patients speak with employees when entering the medical office. It is also the last place that patients speak with employees when leaving the medical office. A gentle bill payment reminder on the way out of the door is always a good idea. Staff members should be trained how to properly accomplish this. It is necessary for personnel to be courteous and respectful. They must be aware of the fact that patients may be worried about their medical conditions. The thought of paying bills may add to their stress levels. When a front desk employee is kind and informs patients that the office understands that they may have financial burdens, it steers the conversation in a manner that makes them feel more comfortable. The majority of people prefer to communicate through emails and texts as opposed to phone calls these days. It is both faster and more convenient. Yet, less then fifty-percent of medical practices incorporate the use of electronic communication methods. Issues with medical bills can be resolved a lot faster when patients can email or text the office. In turn, the patients will pay their bills faster. It is a win-win situation for both parties. Payment Savvy specializes in providing the medical industry with the ability to accept credit card payments online. Please contact Payment Savvy today to review all options, obtain answers to your questions, and to apply for the best way to accept payments online. Our company is only successful when your medical practice grows because of our products and services. We look forward to hearing from you and partnering with your business.